A stunning 60 track journey through the masterpieces of classical musical. Lead by the incredible voices of Andrea Bocelli, Katherine Jenkins, Alfie Boe and Luciano Pavarotti, this beautiful album features the most beloved and recognisable pieces of the genre, from the greatest composers and orchestras. Talking of old-school, whilst UMOD is very clearly a reaction to the market today and preparing for the market of tomorrow, it also houses the traditional compilation curation business on which UMTV was built over 16 years ago, and which is still doing rather nicely. 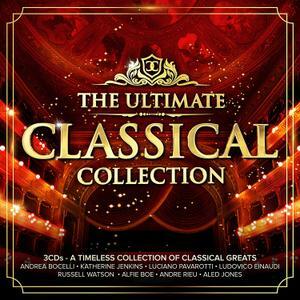 Celebrating the beauty of classical music in all its forms, there's something for every mood and everybody, with The Ultimate Classical Collection!